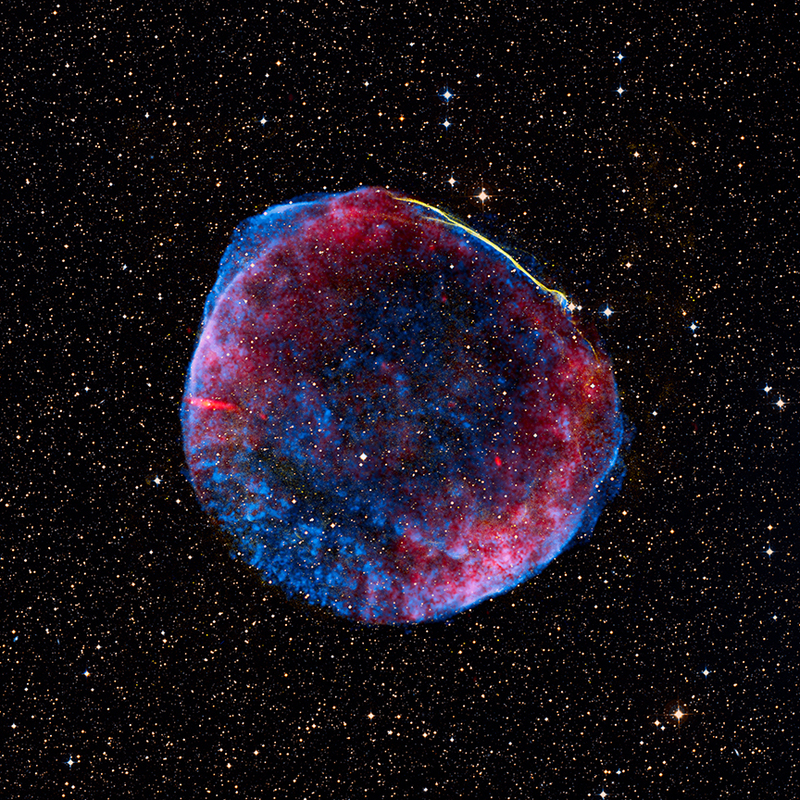 This is a composite image of the SN 1006 supernova remnant, which is located about 7000 light years from Earth. Shown here are X-ray data from NASA's Chandra X-ray Observatory (blue), optical data from the University of Michigan's 0.9 meter Curtis Schmidt telescope at the NSF's Cerro Tololo Inter-American Observatory (CTIO; yellow) and the Digitized Sky Survey (orange and light blue), plus radio data from the NRAO's Very Large Array and Green Bank Telescope (VLA/GBT; red). This combined study of the Chandra, CTIO and VLA/GBT observations shows new evidence for the acceleration of charged particles to high energies in supernova shockwaves. An accompanying Hubble Space Telescope image of SN 1006 shows a close-up of the region on the upper right of the supernova remnant. 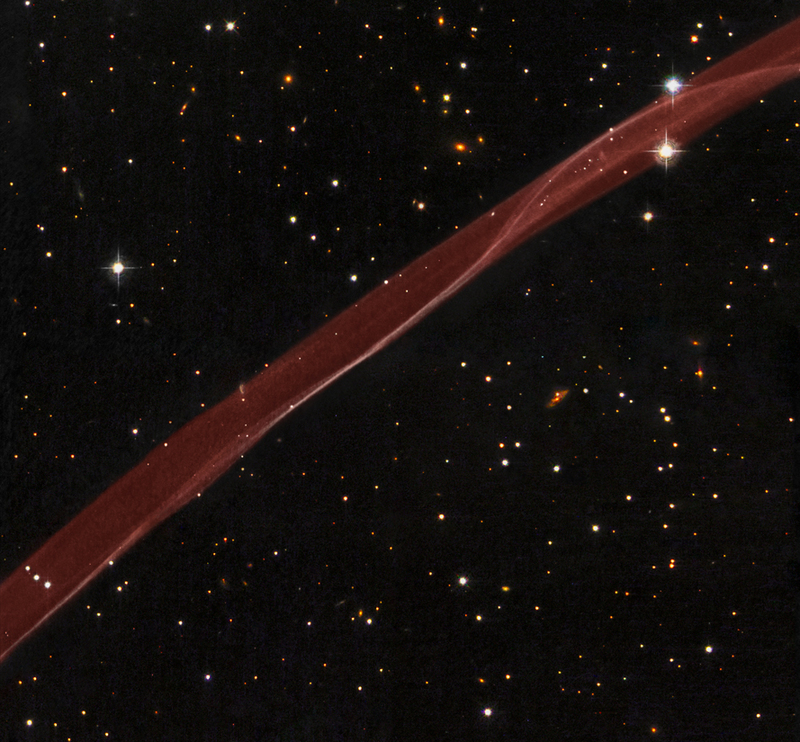 The twisting ribbon of light seen by Hubble reveals where the expanding blast wave is sweeping into very tenuous surrounding gas. Scale Image is 55 arcmin across. Coordinates (J2000) RA 15h 04m 10.01s | Dec -41° 53´ 44.88"